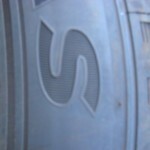 Let’s start off by talking about tires – We’re car people, we notice them. 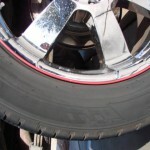 Aside from the obvious performance implications, the right tires can make (or break) the appearance of a car. 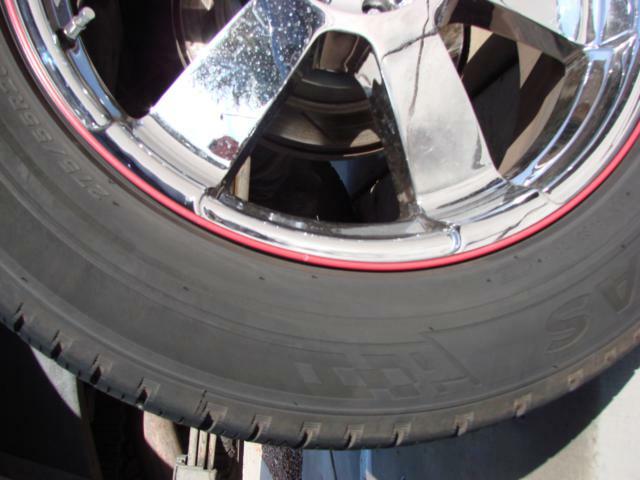 How many of you have seen tires that have a thin film of brownish-grey coating, or look like they’re “rusting”? How about the ones that are super-glossy, or that look like they’re still wet? 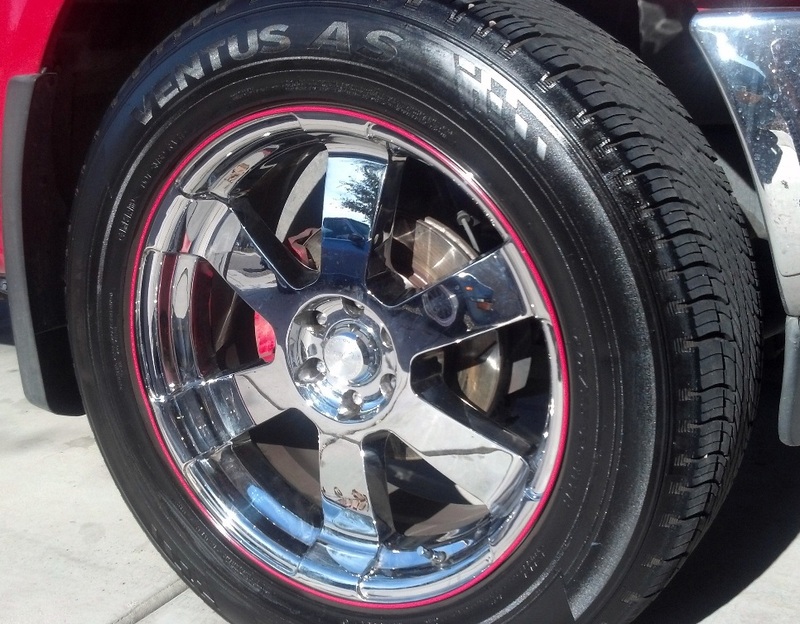 Worse still, what about the tires that look great, but the wheelwells and rocker panels are spattered with black dots ? 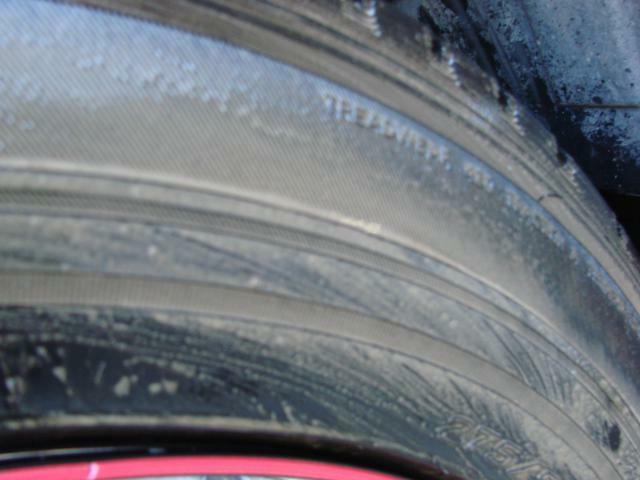 These are ALL symptoms of using the wrong product on tires, and they’re a clear sign of an amateur. 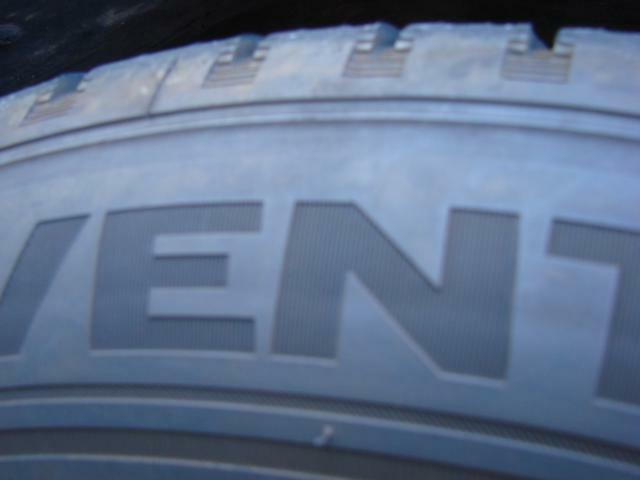 Considering the abuse your tires take, it’s amazing that they last as long as they do: Tires are exposed to extreme heat, dirt, acid rain, salt, brake dust, grease, ultra violet radiation (UVR), ozone, and oxygen – ALL of which conspire to deteriorate rubber in a very short time. We want our tires to last a long time, AND look great, but we don’t want to use the wrong product, either. What to do? 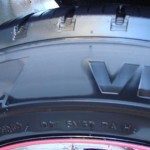 Now, being a car enthusiast in Arizona, I’m well aware of how UV rays and ozone can affect tires. 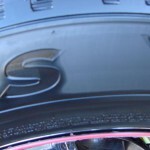 We talked about the “browning” you might see on certain tires… Contrary to what you may read on the Internet, it’s NOT caused by tire dressing. It isn’t dirt, and it’s completely normal. The brown color comes from a chemical compund (antiozonant) that tire manufacturers add to the rubber to help prevent rubber degradation from UV and ozone. 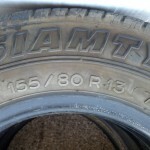 You’ll see it most commonly on high-mileage tires (think of RV / truck tires), and less on high-performance tires. It’s ugly, but it’s normal – but that doesn’t mean we can’t take care of it! Since there are so many choices of product on the market, most people will just grab the product with the catchiest marketing phrase, or the coolest picture on the bottle. What are you, a rookie?! Come on, we can do better than that. Traditional dressings require you to treat your tires weekly – At up to $9 a bottle, that’s going to get expensive pretty fast. Some of the products I looked at in the store even require you to use a different formula of dressing depending on the type of tire! Where’s the convenience in all that? No thanks! 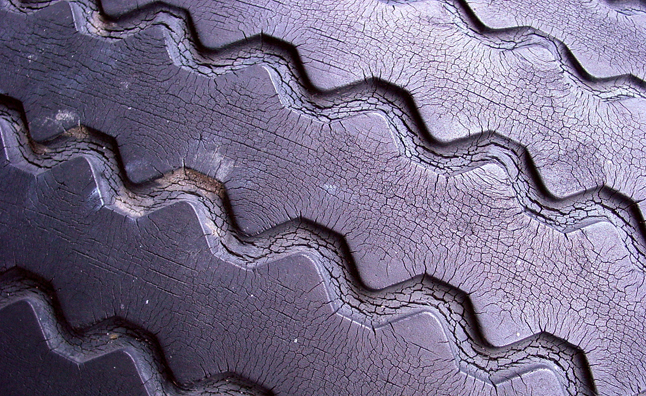 So, what happens when you use the wrong product on tires? 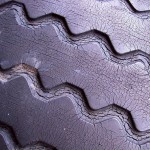 Well, don’t panic – Let’s take a quick look at the two conventional types of tire dressings on the market, the kind of stuff lining the shelves at your local auto parts store… They fall into two categories: Solvent-based and water-based. This is simply a description of the “base” of the product. Solvent-based products use a hydrocarbon silicone “carrier” to suspend the petroleum distillates that create the “shiny” appearance. They’re not always easy to identify, as the manufacturers typically add perfumes and scents to mask the petrochemical smells. The real drawback to these solvent-based products is that they can, over time, lead to premature drying and cracking of the tire surface. Further, these products aren’t environmentally friendly. 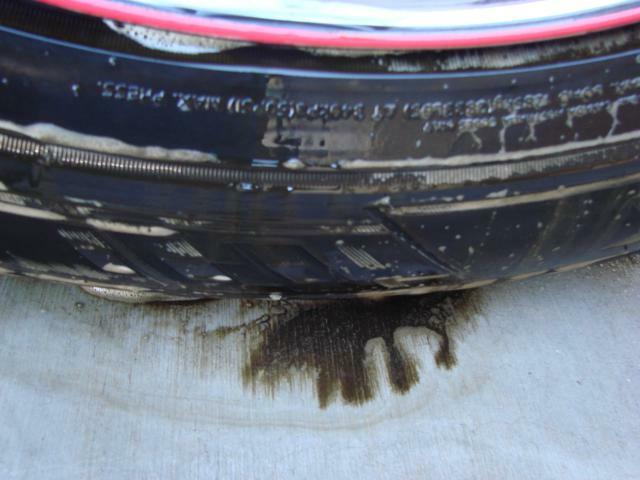 Worse still, they never truly dry – Have you ever brushed against one of your tires and gotten a black stain on your pants leg? Ugh. Even WORSE, these products have the tendency to sling off the tire onto your freshly-washed paint. Not cool. 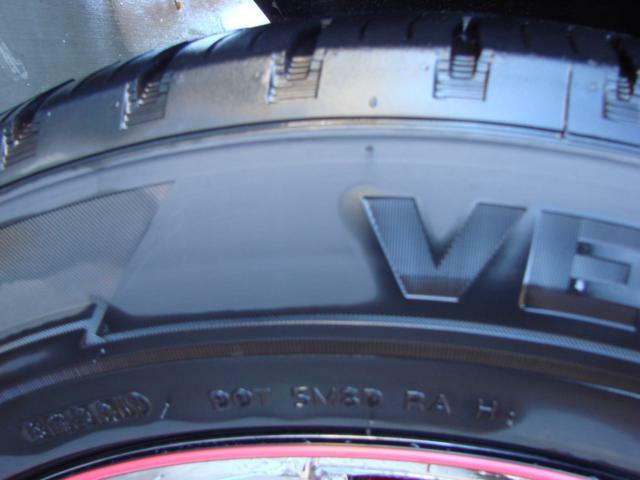 Water-based products are usually a milky-white fluid, containing a combination of oils and polymers to give tires a cleaner appearance, and some will include compounds that block ultraviolet rays (to help keep tires from cracking, fading and hardening). Water-based dressings are typically not harmful, but their drawback is that they don’t last long, they’re difficult to apply evenly, and they can attract dirt – Again, the black stuff on your clothes. Not cool. Well, that doesn’t leave us many choices, does it? As is the case with many of our product review articles, we ran across this company at the SEMA Show in Las Vegas. 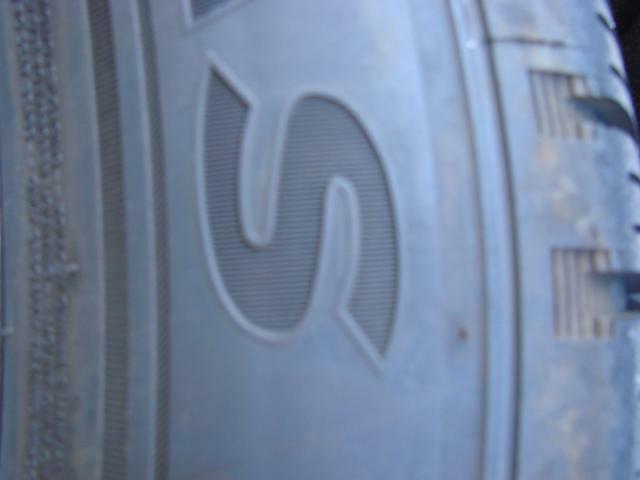 The booth had some tires on display that had a nice, deep, rich, dark rubber look to them – Not too shiny, not too flat. You know the look: That “I just bought brand new tires” look. 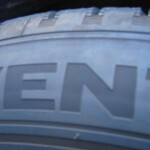 If you’re anything like me, that’s when tires look their best! In speaking with the representatives from PowerSheen, they explained the product and how it works. PowerSheen is an innovative technical breakthrough in long lasting tire shine. Unlike traditional tire shine products, it is not an oil or fluid that simply sits on the tire surface, ready to fling off onto your paint or wheels. PowerSheen is a fully cured bonded elastomeric coating that lasts for months – or years, depending on how much you drive. Sounds great – but I wanted to know how long it holds up… I’m way too busy to spend a couple hours each week cleaning and treating tires – We’ve got 56 tires in our fleet! 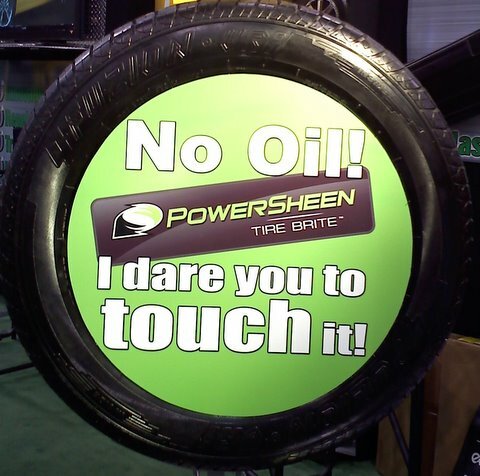 Their response: With PowerSheen, you just wash the tires to bring back the shine! With that in mind, I’m in. SInce I’m always eager to show our readers how different products fare in real life, I wound up with a PowerSheen kit and a goal to give it a tough test. Our 2005 Nissan Frontier wears a set of oversized Hankook Ventus street tires, gets driven a LOT, and sits outside. Aside from being exposed to the harsh Arizona elements, the Frontier’s tires also have to contend with brake dust from fairly aggressive Hawk HPS pads and a couple lead-footed drivers. This should be a good test! Let’s get started. The first step is to give the tires a THOROUGH cleaning. We’re not talking about a simple pressure wash (water pressure won’t remove petroleum distillates, silicone, grime, or road tar from tires). 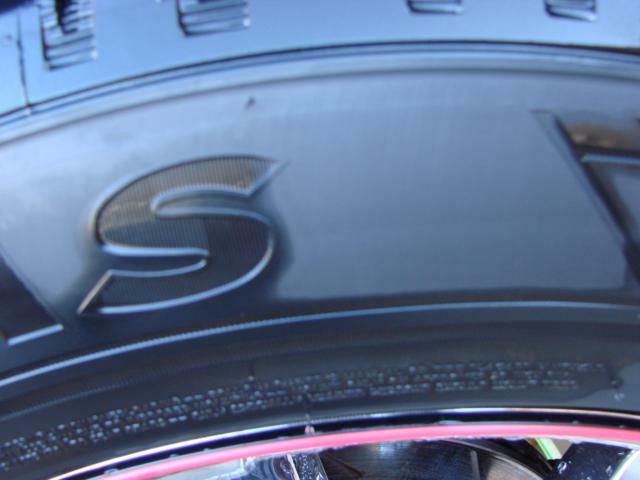 We’re going to use PowerSheen’s specially designed tire cleaner and a nylon bristle tire brush, to really get into the crevices, lettering and details of the tire. Basically, the cleaner the tire is, the better it will look after it is treated with PowerSheen. So, take your time on this step. 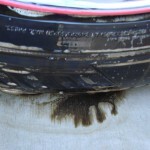 When you first start spraying the cleaner on, you’ll see all kinds of nastiness coming off the tire surface. 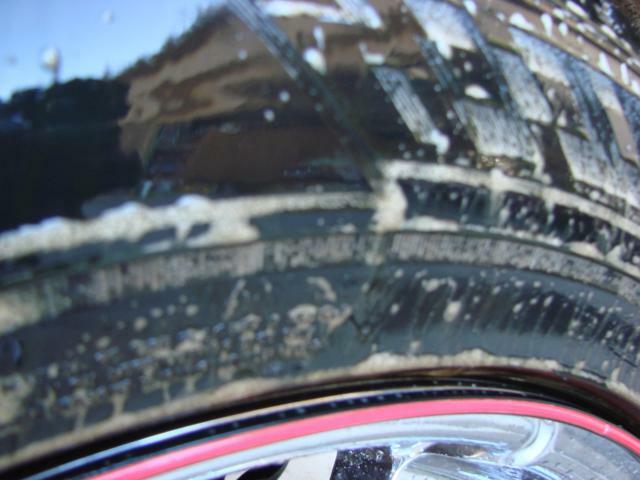 Keep scrubbing, and make sure you rinse the tire and wheel thoroughly. Our Frontier had several past applications of “regular” tire dressing, and it took 2 or 3 good sessions of cleaning and scrubbing to get it all off. You’ll know the tire is clean when the cleaner rinses off clear! Even though the tires looked fairly clean in the pictures above, check out the nasty mess that came out of the surface of the tire (click pics to enlarge)… Pay special attention to the puddle of black YUCK that settled on the ground before rinsing! Lastly, you’ll want to apply the PowerSheen product. While the instructions included in the kit are good, and easy to follow, most people have a tendency to use too much of ANY car care product… Don’t be tempted to overdo it! The applicator that’s included in your kit is perfect for getting into the crevices, grooves, and lettering. A nice, deliberate application will give the best results. 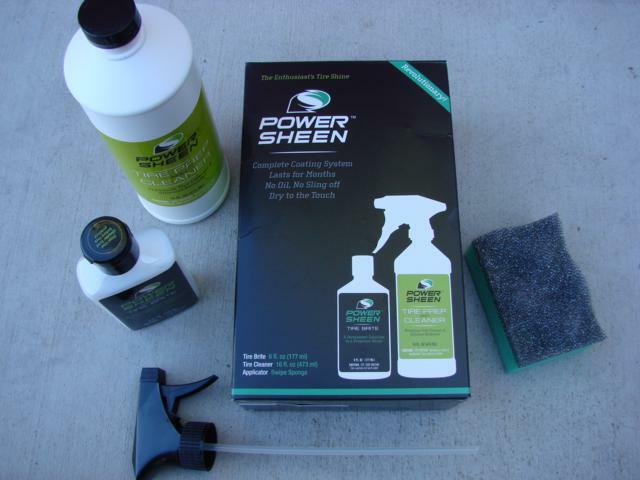 The PowerSheen product dries in minutes, and you can inspect your tires and touch up any missed spots. You get a lasting shine that’s dry to the touch, with no oily residue. Wait, that’s it? Yep – that’s it. By the time I had applied PowerSheen to the 4th tire, the first one was already dry. 15 minutes later, a high-speed blast to the store revealed that there’s nothing “slinging” off the tires onto our nice red paint, and better yet, wiping the tire with a white paper towel didn’t result in a black stain! I’ll be handing off all my half-used containers of various tire shine products to the kid down the street – We’ll stick with the PowerSheen on the NICOclub.com fleet! Thanks for joining us for this article, and if there’s a product out there you’d like us to review or test, let us know! 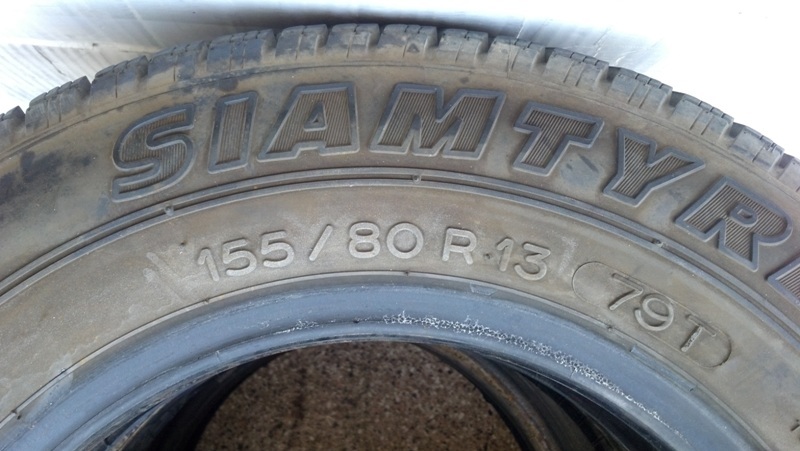 Rimblades Review – No More Curbed Wheels!